Today in this blog post, I would like to delve into another couple of points related to leadership in customer service and put together some inspiring food for thought. I hope that those of our readers who want to move into customer service leadership roles (or any leadership roles) will discover some helpful tips to keep in mind along their career journey. The theory of emotional intelligence at work has become immensely popular in customer service recently. A growing body of research suggests there’s a strong link between a leader’s approach and behavior, and the whole team mood and performance. And while it’s common knowledge that a good example is of a trickle-down effect, the neurological and psychological research findings have demonstrated that the leader’s emotional style correlates to the feelings and achievements of the team members even on a more profound level. In short, emotions spread irresistibly, be it an office, boardroom or shop floor, sometimes even without a single word being spoken. And when it comes to customer service, when team members have to deal with complaints and negative feedback on a day-to-day basis, the impact of the leader’s response cannot be underestimated. Having the right positive attitude to challenging situations can do wonders in terms of relieving the overall stress and letting avoid the domino effect for the whole team. “Every person and every organization is continually facing a core dilemma: deep change or slow death.” – Robert E. Quinn, Deep Change, Discovering the Leader Within. Another research into the customer service profession revealed shocking extent of service staff boredom, with one in four (19.6%) customer service workers claiming that they feel bored at work every day. Why on earth? More often than not, the phenomenon called employee entropy is the answer. According to Robert E. Quinn, a leading scholar and professor at the University of Michigan, and author of several books on organizational change and effectiveness, truly committed and engaged performance is a temporary state, and at some stage we all fall victim to the entropy phase, when we get unproductive at work, and start practicing denial and discouraging excellence. How do you go about transforming the working style of a team that is bored to death at work? Think of it as a puzzle. Every team member can get out of his or her comfort zone and achieve far better results if their unique skills and experience are applied for a suitable role that is exciting and challenging. Leaders can call employees attention to the fact that they are not truly committed, and then together come up with the ways how this challenging situation can be changed and improved. As with the phenomenon of entropy causing changes in employees’ attitude to work, at some stage leaders may experience disillusion and lack of enthusiasm in relation to their roles, too. The matter is that leadership styles are changing over time, as you mature as a person, and the whole organization grows and transforms. What worked yesterday doesn’t always work today. The key to developing an appropriate leadership style is constantly looking for opportunity to re-discover your interpersonal behaviors and creatively apply your strengths in a dynamic environment. There is a brilliant HBR article by David Rooke and William R. Torbert based on research of thousand of leaders, exploring common leadership styles and how they can be upgraded and transformed to give better performance. 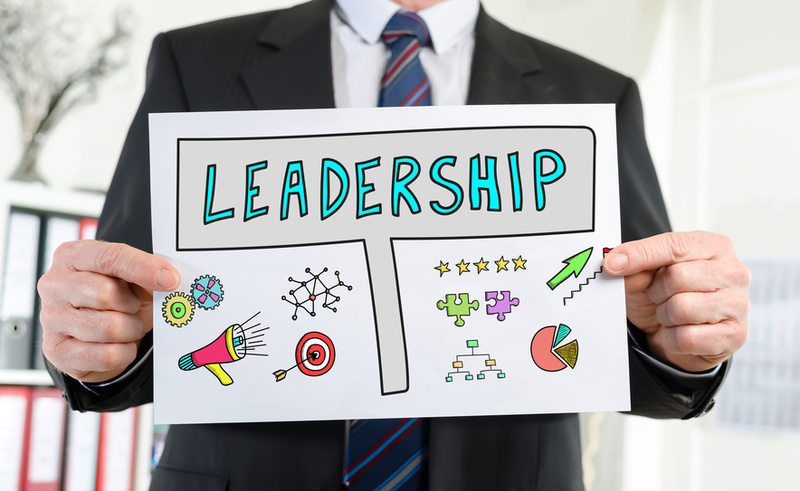 If you are interested in diagnosing your leadership style strengths and weaknesses, and adapting your current action logic to the demands of your particular situation, I would strongly recommend you to read the article and learn how to put the idea to work. Looking for a joyous way to boost your employees’ motivation and engagement? Have you ever thought about discovering it from a fish market? In fact, there’s a simple and fun strategy intended to make happy individuals alert and active in the workplace modeled by documentary filmmaker John Christensen after his visit to the Pike Place Fish Market in Seattle. It’s called FISH! Philosophy, and since its creation in 1998 it has been widely used in customer service training and management to create a less stressful work environment and a better experience for customers. When John Christensen first visited the place, he was amazed by the energy, commitment and teamwork of fishmongers who obviously enjoyed their work, firing slippery salmons to each other, smiling and laughing, and cheerfully greeting strangers like old friends. While selling fish looked cold and exhausting, yet these guys attacked their work with lots of energy and engagement. John brought a camera crew back to the market and spent several days with the fishmongers. After having analyzed the footage, John and his team identified several simple practices the fishmongers brought to their work that anyone could use to be successful. Later on, a documentary film and accompanying book have been released to share the amazing insights learned from the fish market. To get an idea of how it works just take a look at the short video below, and if you would like to find out more actionable insights, you are welcome to visit FISH! Philosophy website. The last (but not the least) piece of inspiration I would like to offer to you in this blog post comes from Southwest Airlines, one of the most recognizable US brands with a reputation for superior customer service. I was delighted to read Lead with Luv: A Different Way to Create Real Success by Kenneth H. Blanchard and Colleen Barrett and would like to recommend it to anyone interested in the topic of customer service leadership. The concepts outlined in Lead With LUV are simple to follow and understand, and would help you create a culture of engagement and love at work. So take a read, get some inspiration and make the most of it. Are there any other useful techniques or resources for customer service leadership you would like to add? If you have another amazing story that inspire leadership and excellence, you are welcome to share it with our blog readers in the comments below! And as always, thank you for reading our blog! This entry was posted in Articles, Tips and Tricks and tagged customer service leadership, leadership in customer service. Bookmark the permalink. Hey, Maria this is good post! I liked it. I could be better if we increase the authority in our surroundings by presenting the seminars, paper presentations, and team work. I agree with the point that “Every team member can get out of his or her comfort zone and achieve far better results if their unique skills and experience are applied for a suitable role that is exciting and challenging” Thanks for this post. I achieved many results when I connected leadership with customer service. excellent post, if you realize that the vast majority of companies are with a huge number of leaders and the consequence and low productivity of teams, great content congratulations! Thank you for all of these great insights! This is a good sentence delivered Deciding on a good example is a much better way to spread ideals than through the power of a weapon. Great Post! All the point you have mentioned above is really helpful to become a good leader. In addition, if the organization will give leadership training also increase employee & leadership, commitment through learning & development. leadership is very important in customer service. thank you for the tips. I like how you said that companies should be growing leaders who will set the tone for other team members to follow. I have been working on my leadership skills for work so that I can eventually take over as a team lead. Thank you for the tips for effective leadership in the customer service industry.